Weekend Of 11/30 - 12/1/18 at Tall Cedar Chalet! Book your weekend stay with us today for the low price of $437.50! 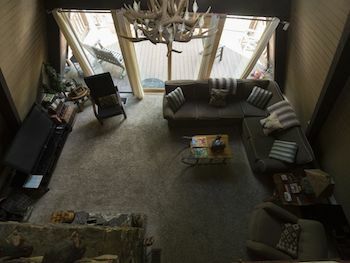 The chalet is only minutes from Seven Springs and can sleep 6-8 people total! 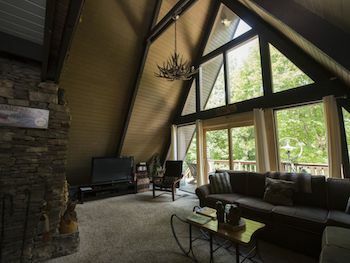 Tall Cedar Chalet is a peaceful, private and exclusive retreat in Western PA just minutes away from Seven Springs. 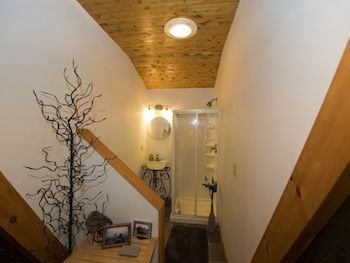 A warm and rustic atmosphere surrounds the Chalet with an enormous personal touch providing you a break from your busy life without feeling you've left home. 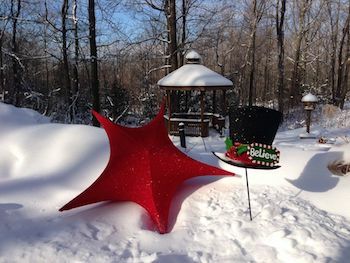 Tall Cedar is just minutes away from many fabulous attractions for year round entertainment. That is if the comfort of the Chalet doesn't convince you to stay! The Best that Mountain Rentals Can Offer! 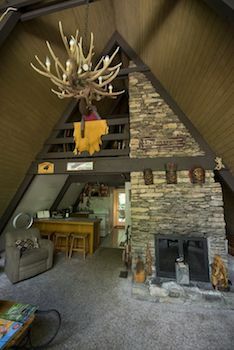 This unique three story A-Frame home is nestled in the woodlands of the Laurel Highland mountains. The chalet is constructed of stone and cedar.The kitchen is fully equipped, complete with tableware and cooking utensils. A vintage wine of your taste, fresh gourmet coffee and herbal teas are also supplied.The living room has a stone fireplace with a picturesque view of the woods. It leads to a patio equipped with outdoor furniture, grill and wood burning stove. 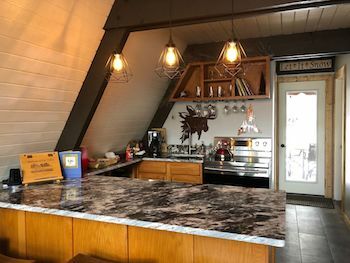 There is a private master bedroom on the main floor and an upper loft furnished with three single beds.The living room and game room easily converts into additional sleeping areas. 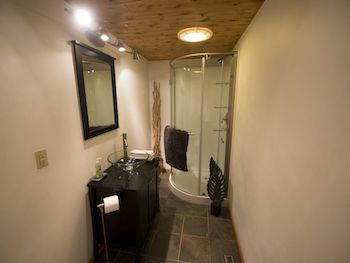 The chalet comfortably sleeps six to eight guests.The first floor enters into a comfortably furnished game room. 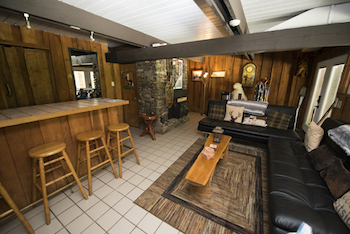 Also, featuring a bar area.Tall Cedar is a peaceful, private and exclusive retreat. A warm and rustic atmosphere surrounds the chalet. With an enormous personal touch, Mr. Bear, (he is very tame) will be there with a personal note to welcome you! For your convenience, Mr. Bear provide can provide a continental style breakfast (for an additional fee). Offering teas, juices, hot cocoa, coffee or cappuccino. Also fresh seasonal fruit, assorted cereals and homemade breads or muffins, to enjoy at your leisure. 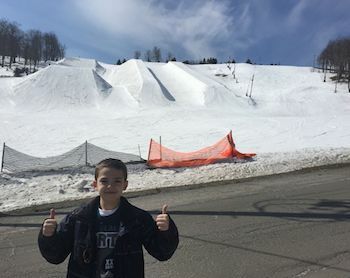 Nearby Attractions include Skiing at Seven Springs, Hidden Valley, or Laurel Mountain Resorts.Also in the area are Frank Lloyd Wright's Fallingwater, Ohiopyle White Water Rafting, Jennerstown Speedway - Nascar, Golf Courses, Laurel Caverns, Outlet Shopping - Somerset, Mt. Davis - PA's highest point.Within a half-hour drive, you can explore Frank Lloyd Wright's world famous Fallingwater house and nearby Kentucky Knob. Valid towards a Friday and Saturday night stay at Tall Cedar Chalet for Nov 30- Dec 1st, 2018 ONLY. Fully refundable $150 Security/Cleaning Deposit required at time of booking. Additional fee to use hot tub. Additional fee for owner provided sheets and towels. 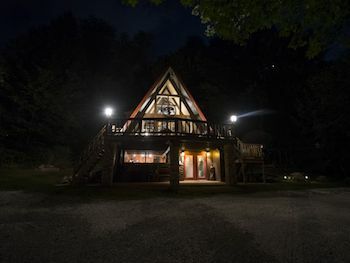 After purchase, please contact Tall Cedar Chalet at 412-537-0211 to finalize your reservation.